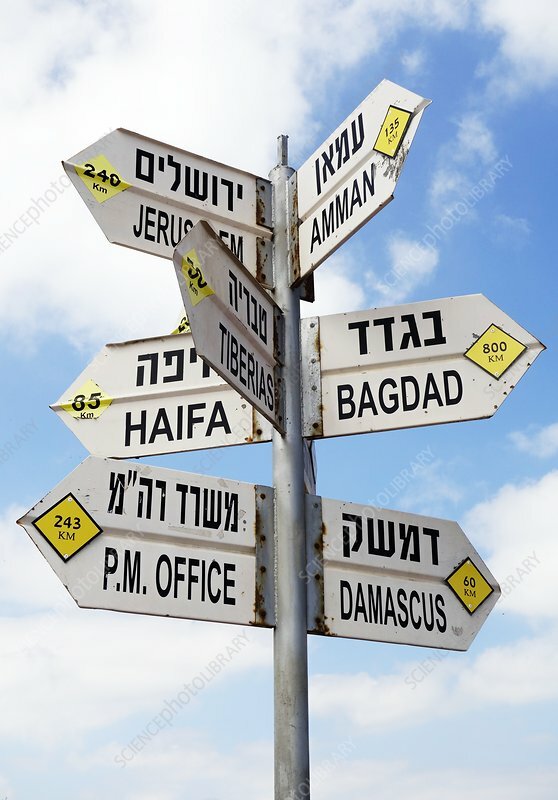 Sign on the Golan Heights, giving directions and distance to various Middle-Eastern cities. The Golan Heights is territory lying between Syria, Jordan, Israel and Lebanon. The area has been the scene of territory dispute, occupation and armed conflict through the 20th and into the 21st century.